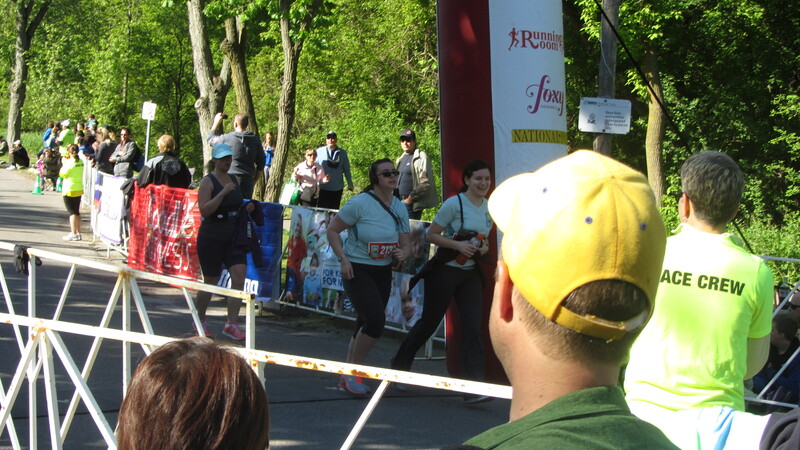 100 things to do in 1000 days; #56: Run a marathon of sorts. Ah, race day. I woke up from a decent night’s sleep after responsibly turning down the offer to watch the new season of Arrested Development (I had to be up at the ungodly hour of 7am, don’t you know), and changed into my spiffy new trendy Mizuno short sleeve technical race shirt, thank you very much (it came with the race kit), feeling pumped and ready to go but for the pre-departure pit-stop, where I was greeted by the most appropriate monthly visitor one can get on the day of the Toronto freaking Women’s Run. Good morning! You are still a female! “Why do I need to know this?” you may, quite fairly, be asking yourself. I’ll get to that. So anyway, I took an Advil Extra Strength, but my body was having none of it, which was a thoughtful gesture, and I got on with things, figuring that I was already a red-bibber (signed up for the shortest distance, expecting the longest time), so it wasn’t as though I was going to surprise or disappoint anyone with my time anyway (“…and bringing up the read, it’s Lasty!”). I’ve spent the last couple of weeks treadmilling about 3k for every 30 minute workout, and running on pavements and grass and up and down hills is, shockingly, much more difficult, so I was expecting to finish in about 45 minutes, give or take. I mean, it’s not as though I wasn’t beaten soundly by intrepid 10-year-olds and over-sixties, but despite all this, my lovely running partner Tali and I finished the race together after 35 minutes and 51 seconds! And with the help of my amazing friends and family (whom I can’t thank enough), I managed to raise $153 for POGO, a great deal more than my lofty original goal of $20. Now, about the race itself. So mission completed, but this won’t be the last race I run. The whole experience was a joy, and I have to say, I have never felt better since starting to run regularly. Does it really count as free race-day image if it comes with a watermark? Now imagine I just shouted that in your ear. When I put “run a marathon of sorts” on my list of Things To Do, I knew so little about running and marathons that I thought this was a perfectly reasonable goal. I honestly had no idea that the actual definition of “marathon” was “42.195 kilometres (26 miles and 385 yards).” Which is several more than what I was thinking. 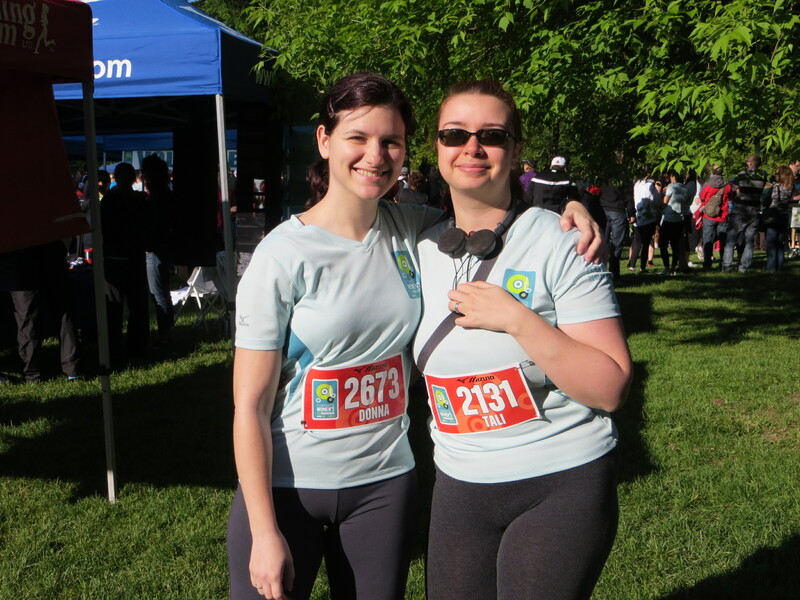 So I signed up for a charity 5k to take place in May, with all proceeds going to research for kids with cancer (click here if you would like to donate, and also I love you), and which is way more in the spirit I had intended that original goal to be (reasonably short, and reasonably charitable). With that, I considered the list item all but complete; I mean, sure, I’d have to actually run the race, but I didn’t even have a time goal. If I decided to crab-walk or Breakfast-Club-shuffle the whole way, #56 would still be complete as of May 26th. 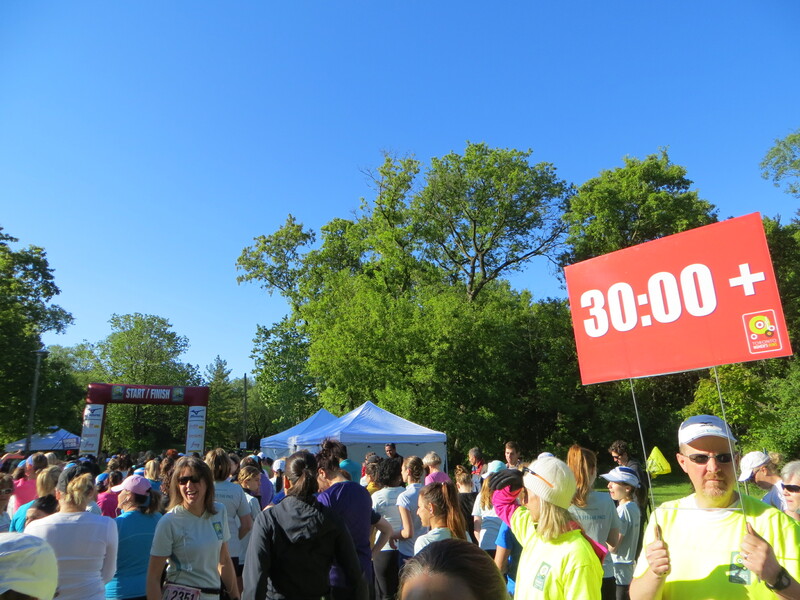 And as May 26th drew nearer, and I started to actually do some running, I got interested in the whole marathon culture; the 5ks, the 10ks, the half marathons, the full marathons; the walkers, the joggers, the runners. And I started playing with the idea of maybe, one of these days, when the time is right, at some point, thinking about perhaps training for one myself. Right now, I have had no luck finding a job. I find myself in the default setting of the modern 20-somethings these days: drifting. I’m living at home again. I’m not ready to go back to school, but I’m not ready to settle into a career. I’m over-qualified for the work I want to do right now, and under-qualified for the jobs that everybody thinks I should have. I’m trying to save money for the next step, but in which direction is that step going to be? I’m really good with big ideas. I’m really bad with figuring out how to make them happen before spiraling into an overwhelmed basket-case of depression and self-utter-loathing. “How dare you set yet another goal for yourself and not achieve it? God, you’re utterly useless.” I want to be a marine biologist, or a travel writer, or a photographer, or a genetic counselor. Or all of those things. I want to be finished my B.Sc. I want to finish writing my book. I want to start that travel website. This isn’t a new thing. Sometimes my life feels like a trail of half-finished or discarded projects. When I was in middle school, I wanted to start the “Cids Can Do Anything Club.” We were going to raise money for charity and collect the tabs off coke cans for wheelchairs, and we spelled Kids with a C because a 10 year old Donna thought it was clever. In high school, I wanted to sell Creative Memories supplies and host scrapbooking meetings, but I never even made enough money to pay for the first sales kit. I haven’t yet managed to read 52 books for the CBR. It’s been 10 years and I haven’t cleaned my room. I’m just filled with the best of intentions. I’ve always wanted to be doing big things, great things. I tested high in IQ, and I thought that meant I’d be finished grad school by now. Instead, I can’t even get hired by McDonald’s. I don’t apply for awesome internships or challenging workplaces because I cannot see myself succeeding in them. All I see is myself letting everybody down. I see in my future an under-realised life. I’ll work temp jobs for a while, I’ll be the crazy aunt in scarves, I’ll end up getting a small apartment and dying alone with my dogs, probably in a bit of debt. It will have been a reasonably happy, mostly mediocre life. My family and friends will be sad, and in 5 years, it will be like I was never on Earth. So there’s not much going on in my life right now. I’m 4 years from 30 (only 4 years? already 4 years?). I need a goal. I need a self-esteem boost. I need something to do for the next 6 months. The time is right, and the time is now. I am running a marathon. All 42.195 kilometers of it. And I’m sharing it with family, close personal friends, and complete strangers on the internet because I need to believe it. 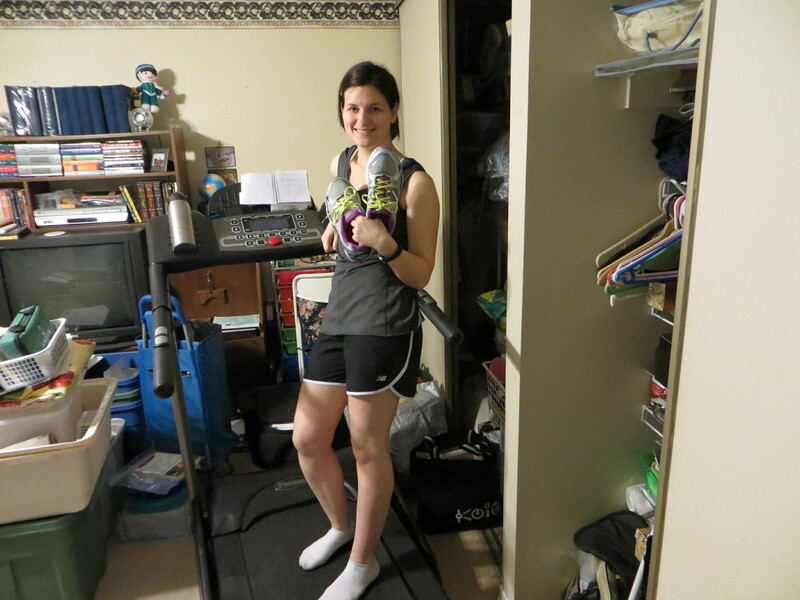 I’m keeping track of my progress through Spark People and a journal, I’ve got my obnoxiously coloured running shoes, my treadmill, and my mp3 player filled with episodes of Cabin Pressure. I’m using The Non-Runner’s Marathon Trainer, because – duh, and I have absolutely no goals with regards to time. This is my first marathon. My only goal is to finish, and to prove to myself that I can. And if you have anything skeptical or hostile to say about that, you can shove it.